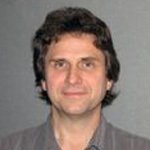 Jim Kavicky is an Energy Systems Engineer in Argonne National Laboratory’s Infrastructure Assurance Center. Topics of interest span across various modeling and simulation aspects of electric power and natural gas transmission systems and the study of their interdependencies. Topics also include the large-scale modeling and analysis challenges of system operations and the management of information to enhance analysis using large-area, real-time network conditions. Jim received his Ph.D. in electrical engineering in 1997 from Illinois Institute of Technology and has been with Argonne for 21 years.